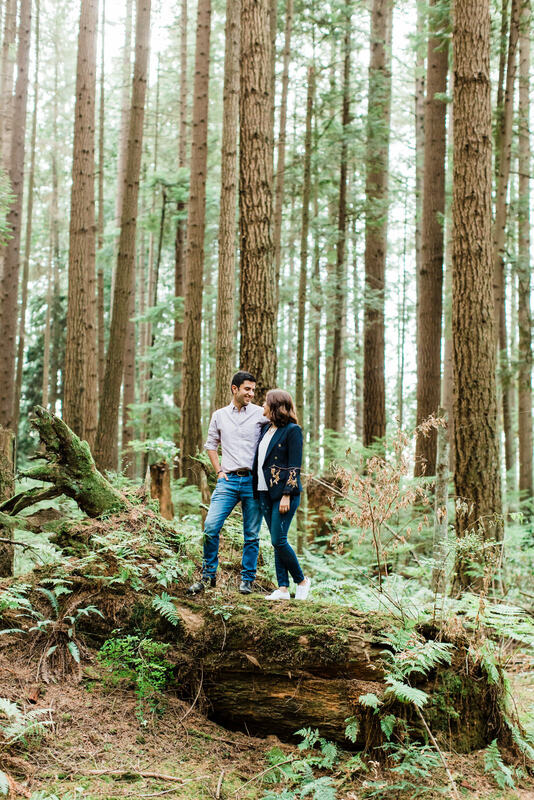 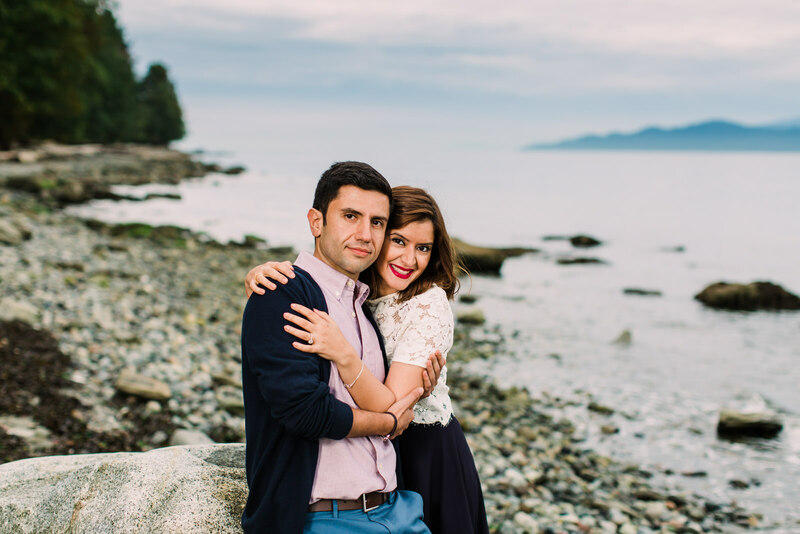 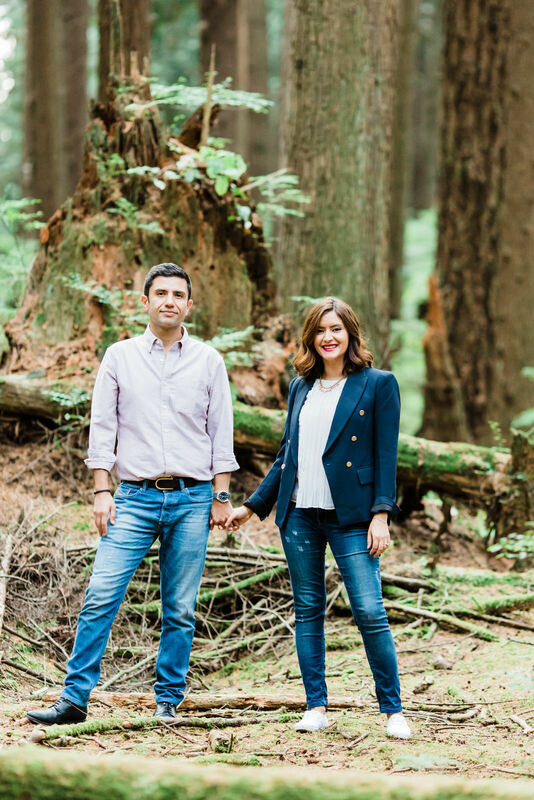 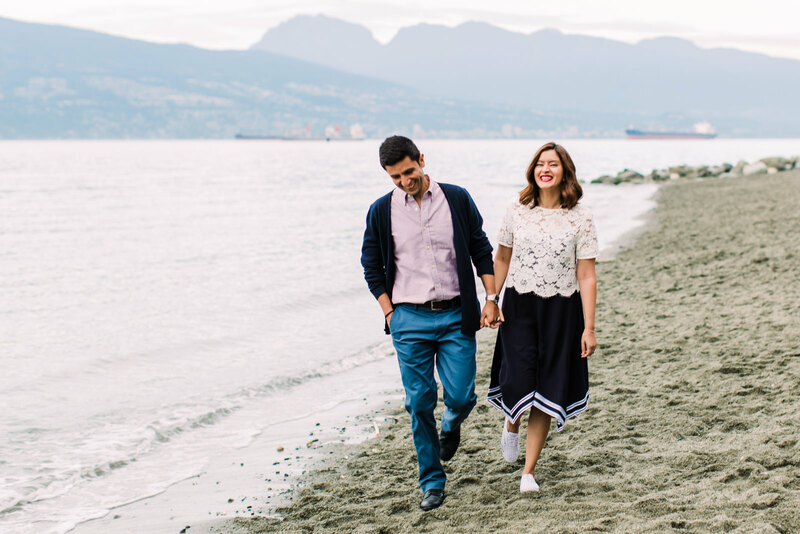 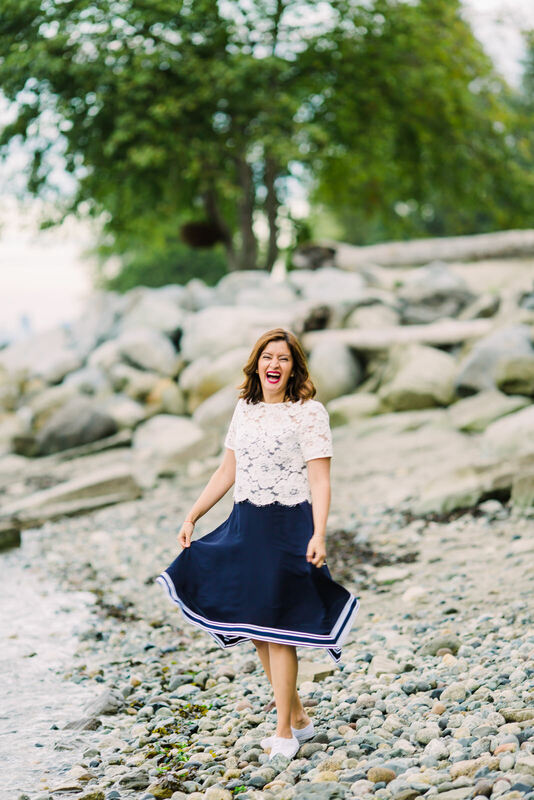 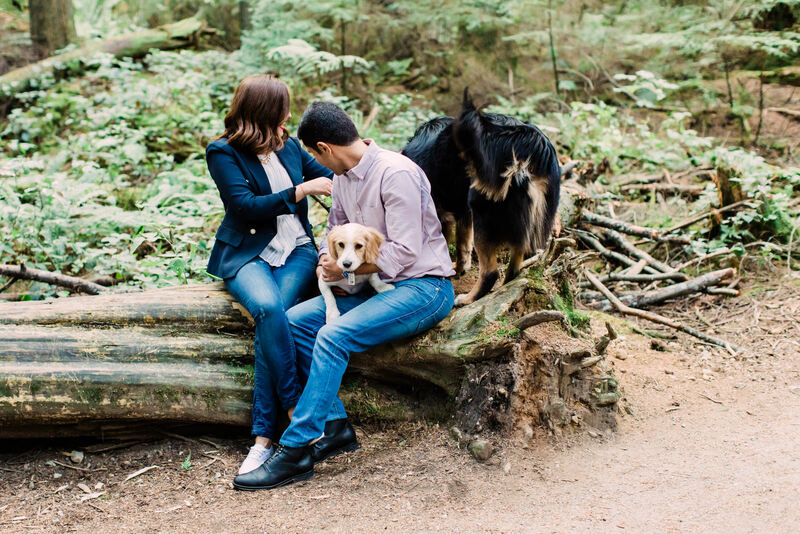 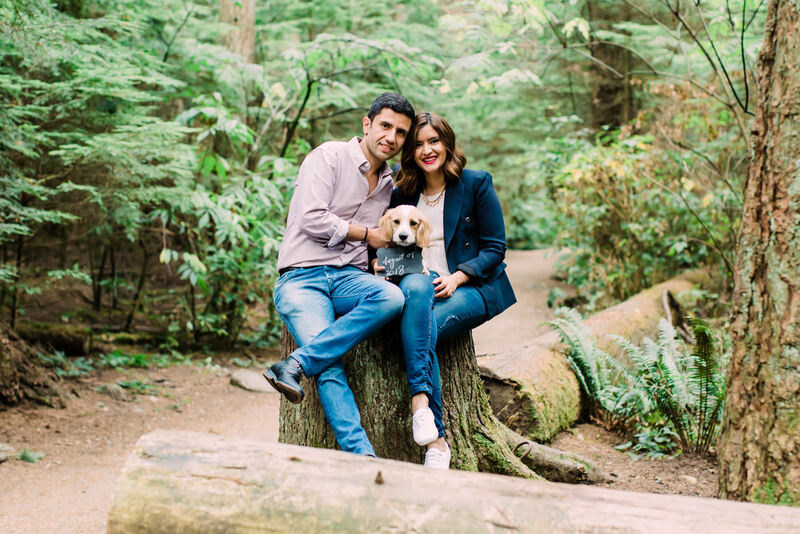 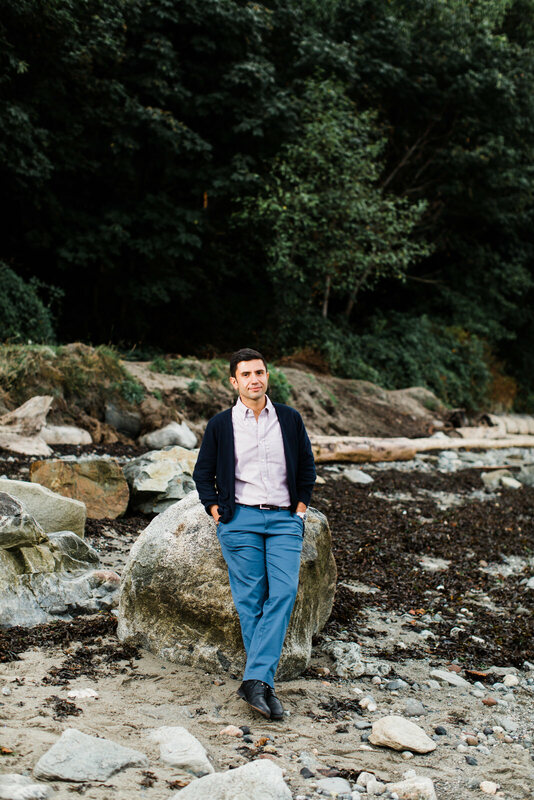 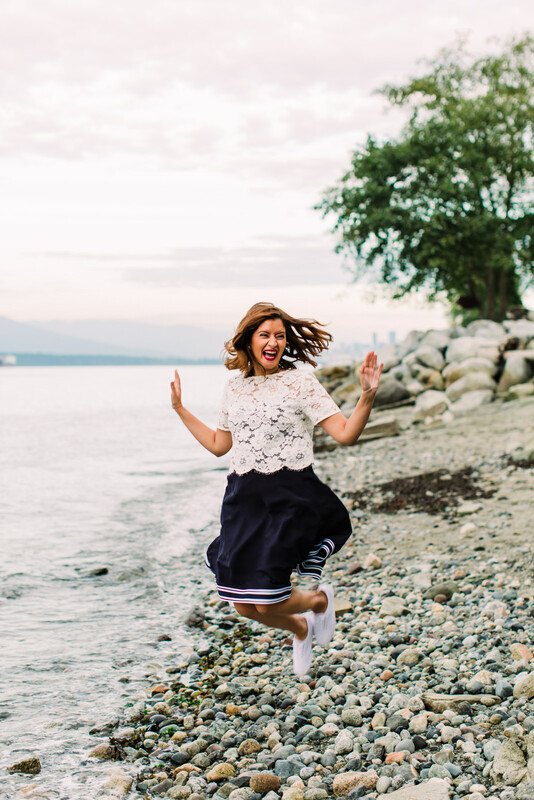 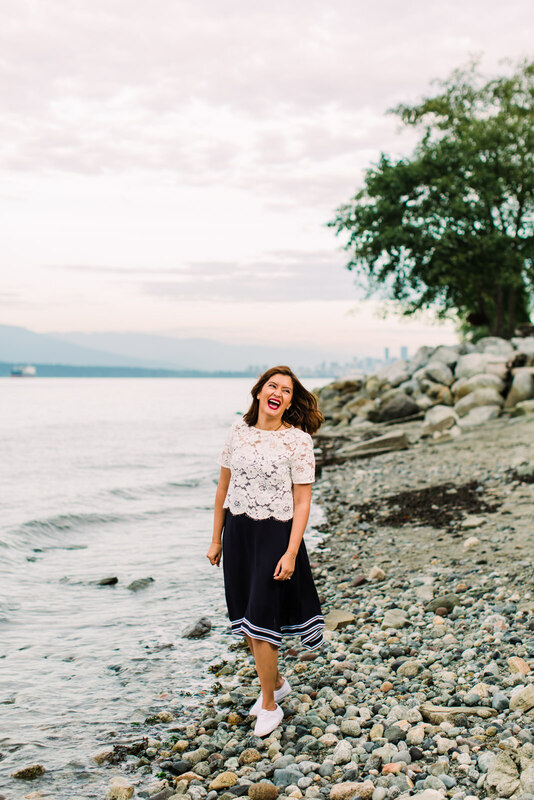 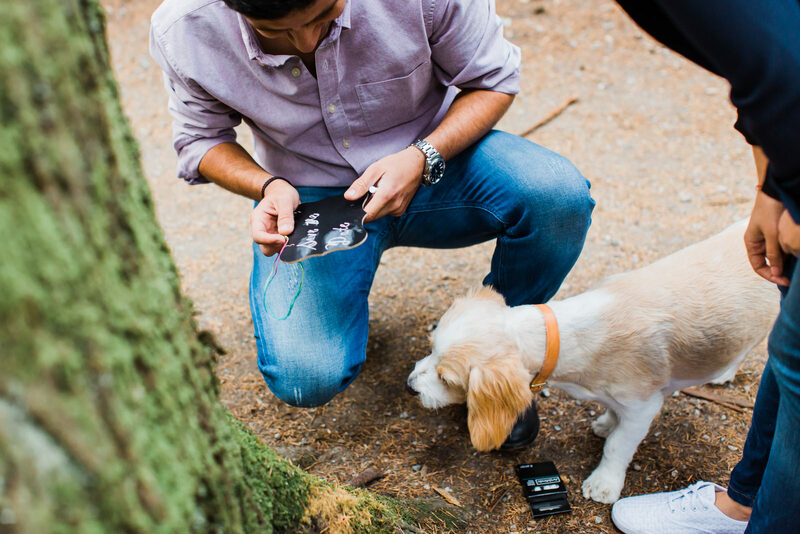 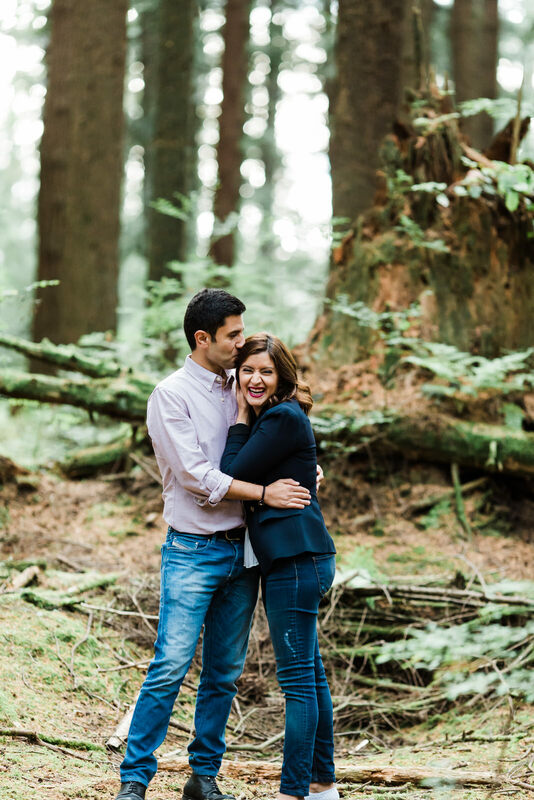 You’re going to love this Pacific Spirit Park Engagement Session! 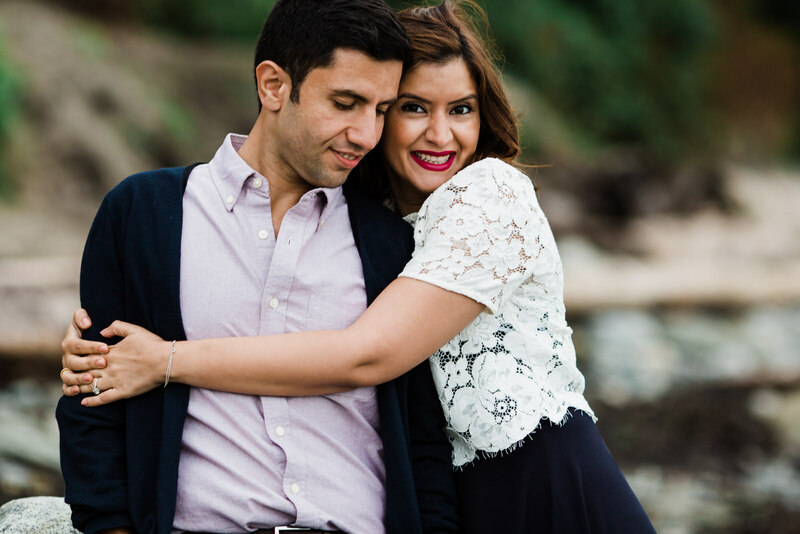 Rita & Amir married on August 4th at the beautiful UBC Rose Garden. 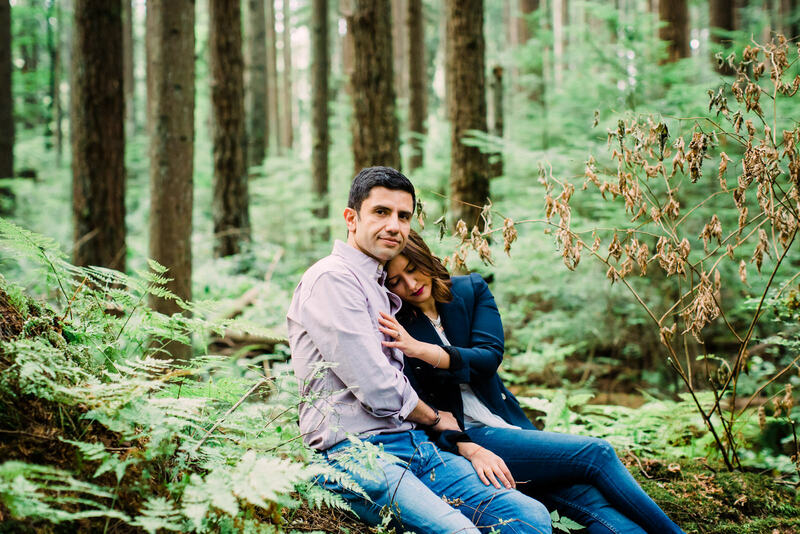 But, it’s not to late to tell you their story. 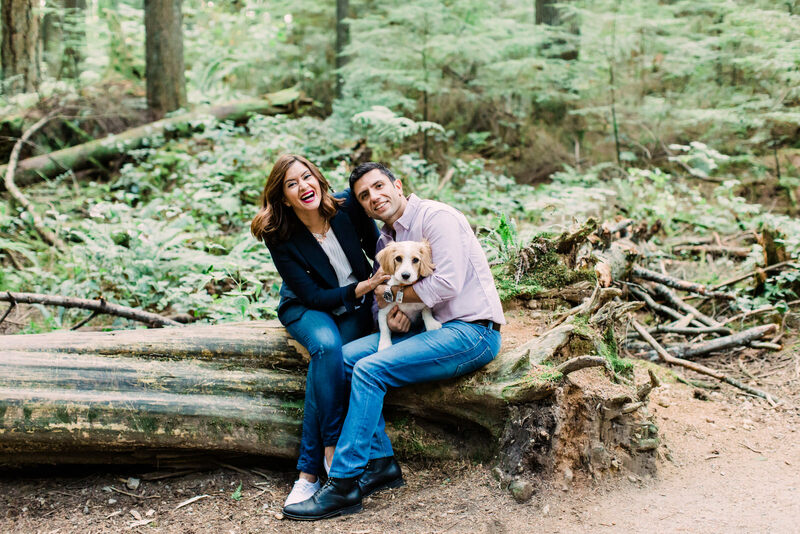 Benji, their Cavapoo, loves going for walks around UBC. 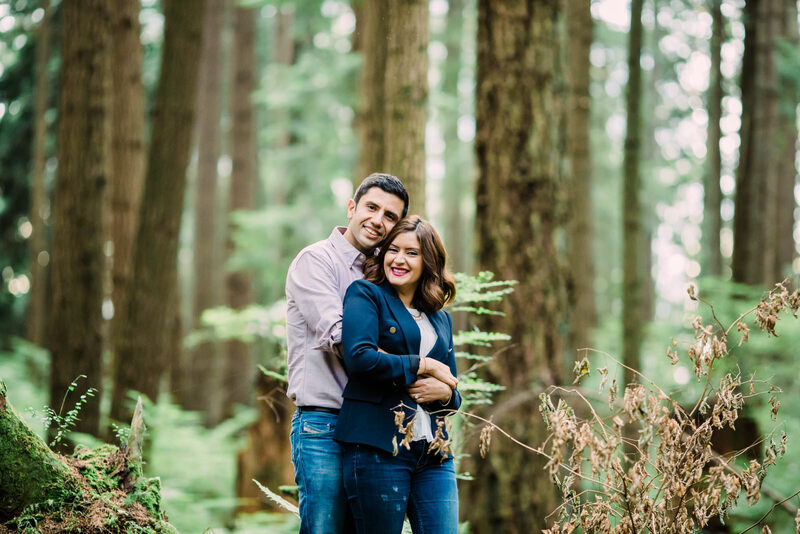 So, I was ecstatic when they agreed to a Pacific Spirit Park engagement session. 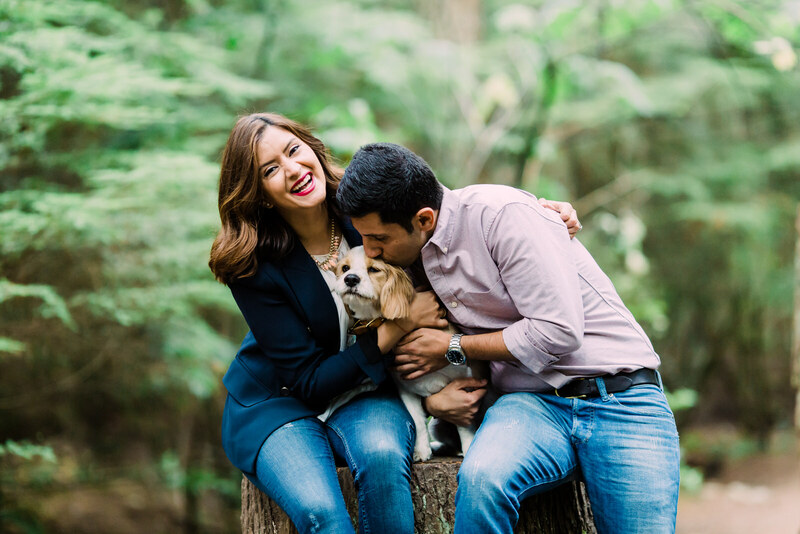 Their fur-babe is so adorable. 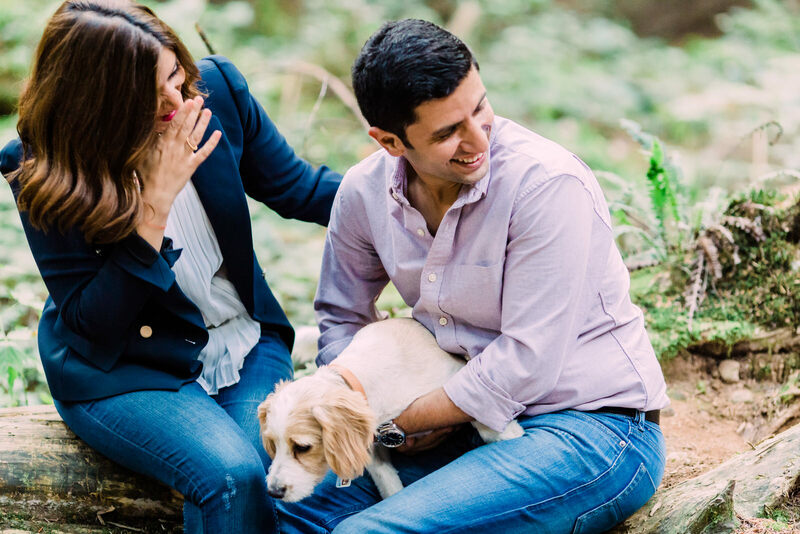 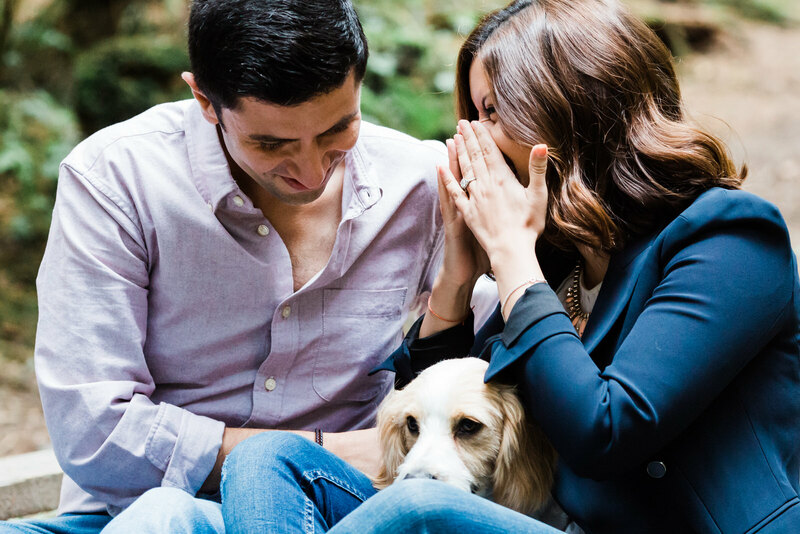 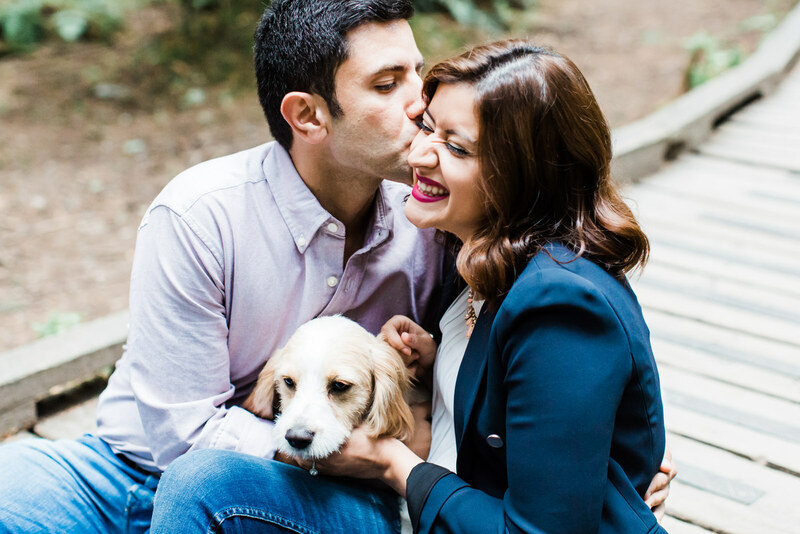 Instantly, I was in love — so much so that when they came by my home studio for their pre-wedding consult I invited Benji to join us. 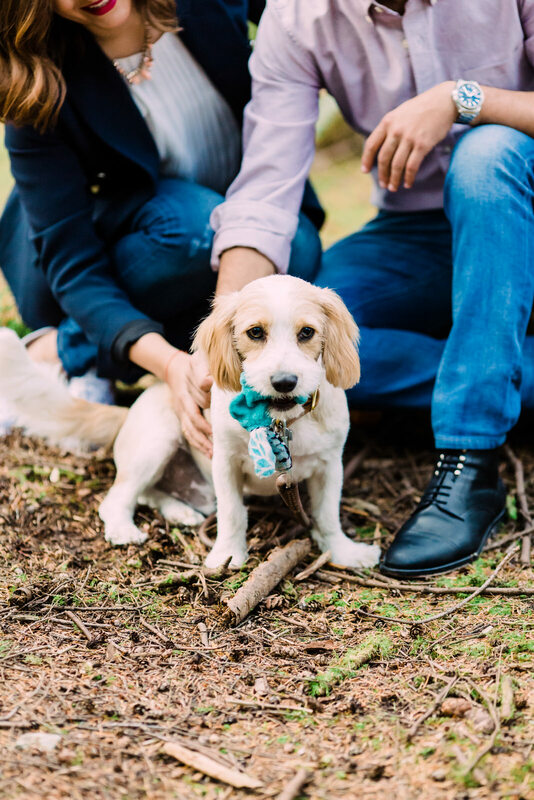 Everyone needs more cuddles! 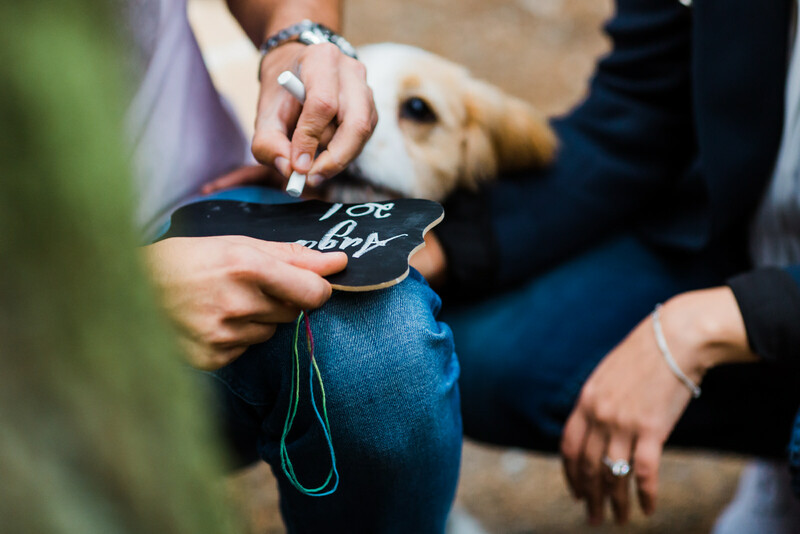 And everyone should bring their pet. 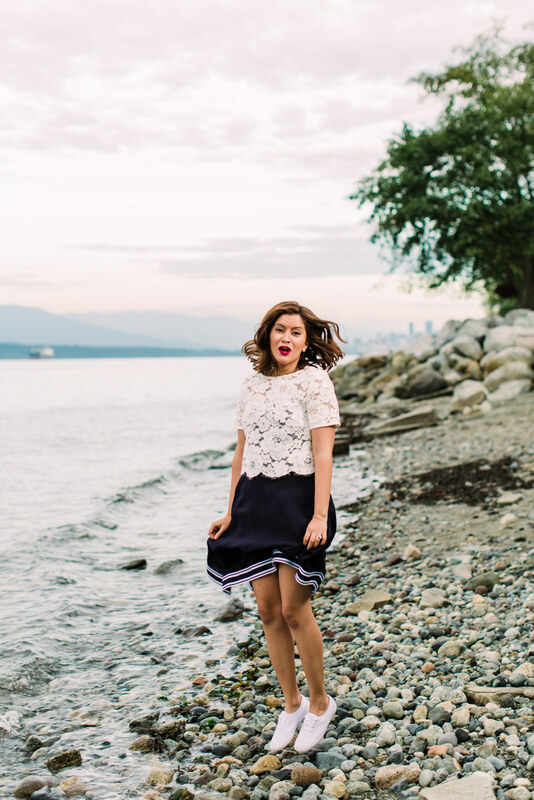 Rita expressed during the shoot that she was camera shy, but let me tell you the camera loved her! 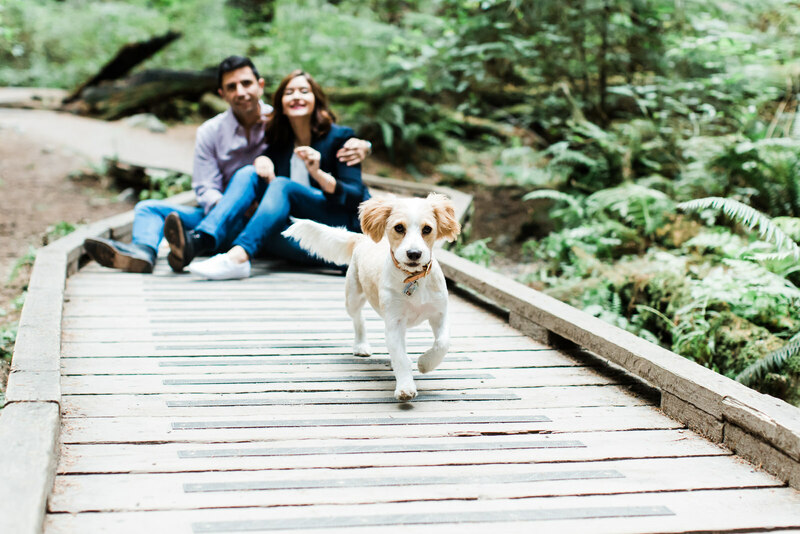 We had fun on the trails, meeting other dogs – Benji attracts both dogs and humans with his cuteness. 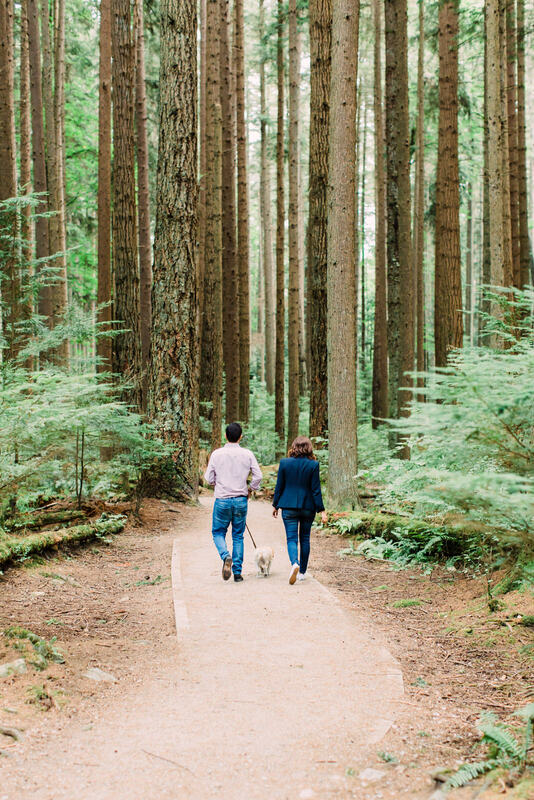 That’s for sure. 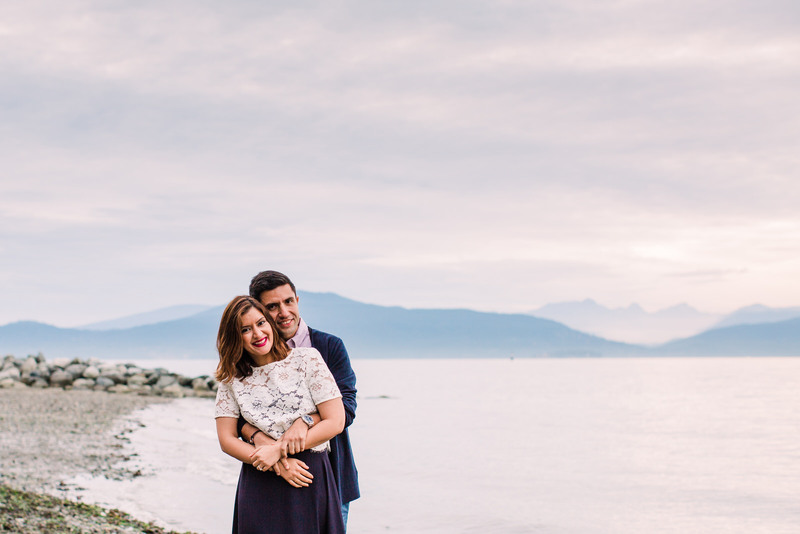 We took our time cruising the boardwalks, but we knew we couldn’t miss the sunset, so we sped off to Spanish Banks Beach. 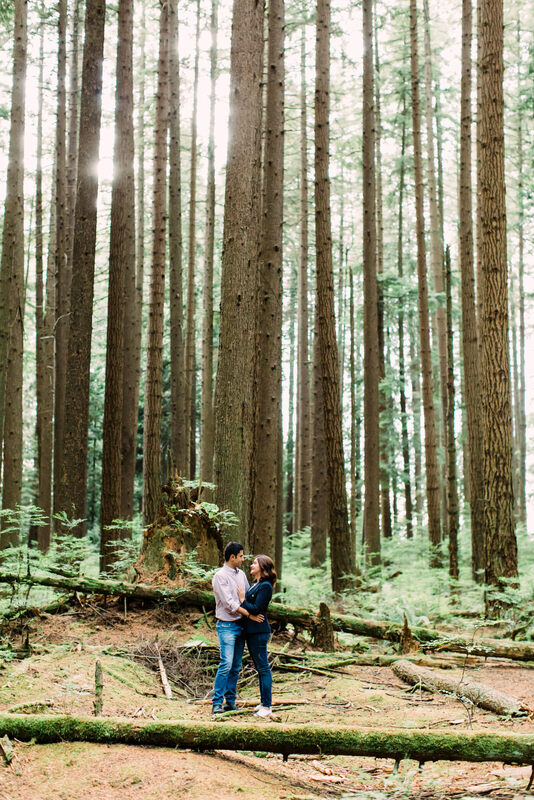 The light was stunning. 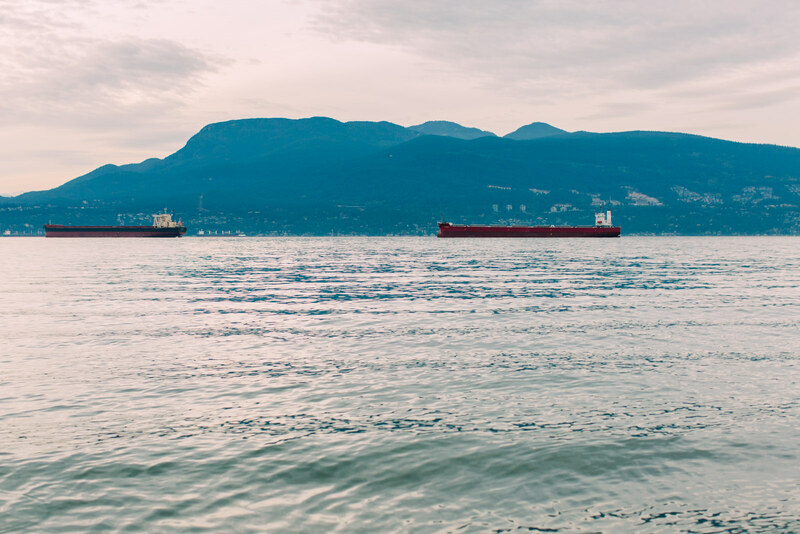 The water gently lapped against the shores and took on the colours of the sky. 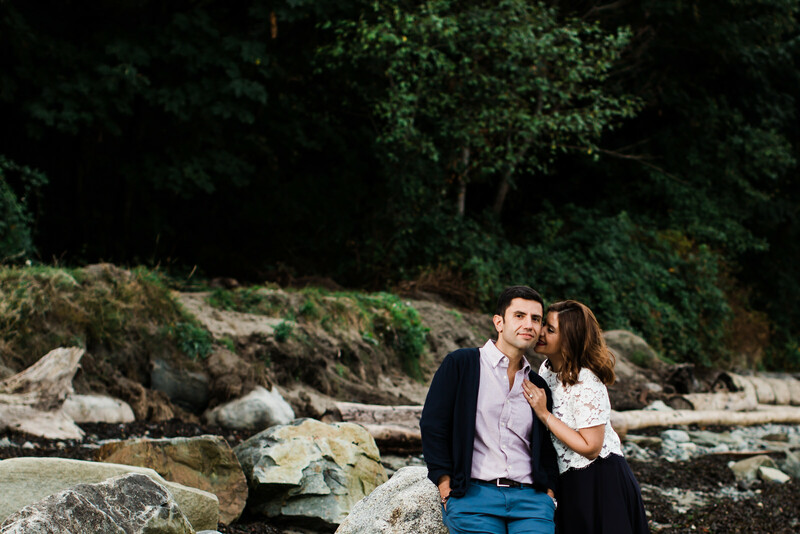 We took our time again, but this time we were basking in the gorgeous pink hues. 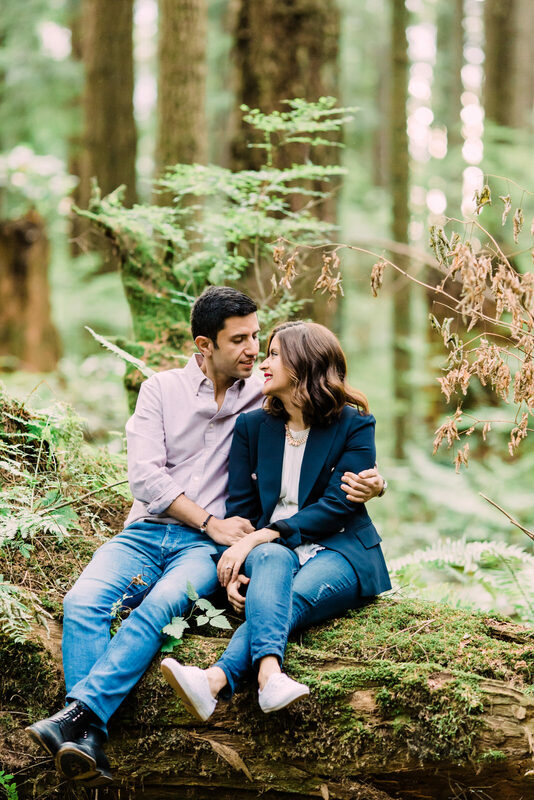 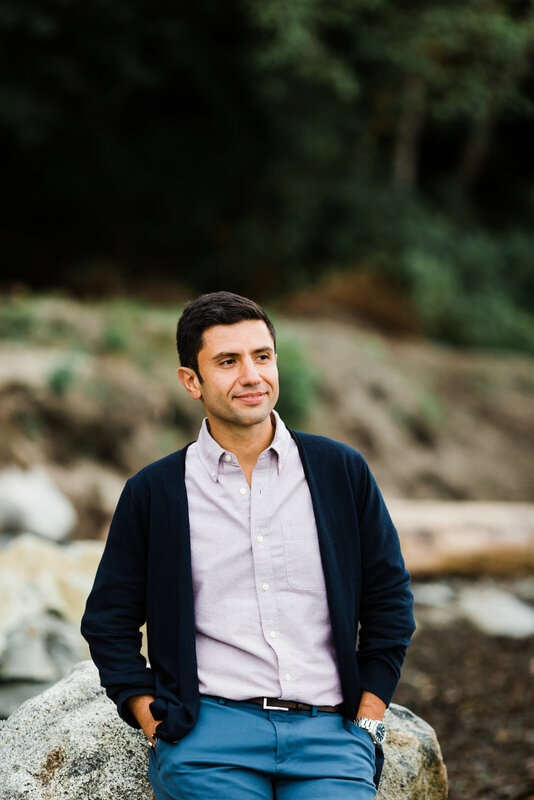 You’ll see soon enough, that Rita and Amir planned a modern wedding with the addition of simple traditional elements of their shared Persian culture. 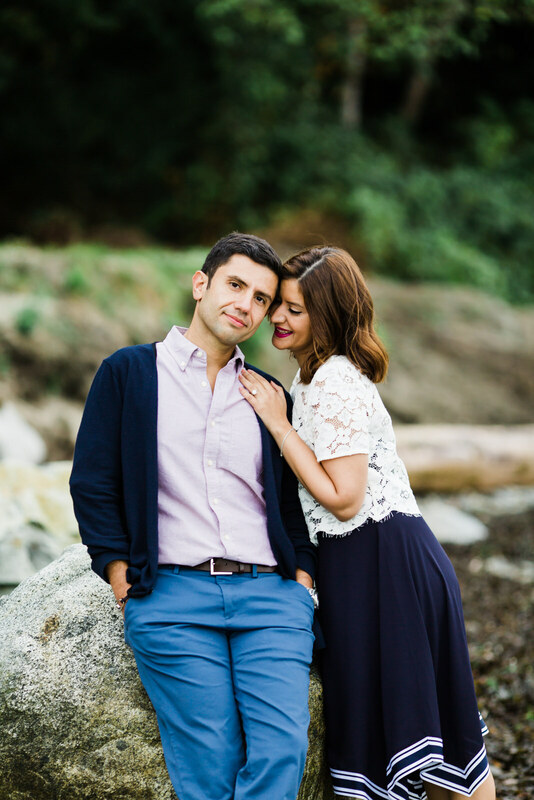 I loved how they blended everything so well. 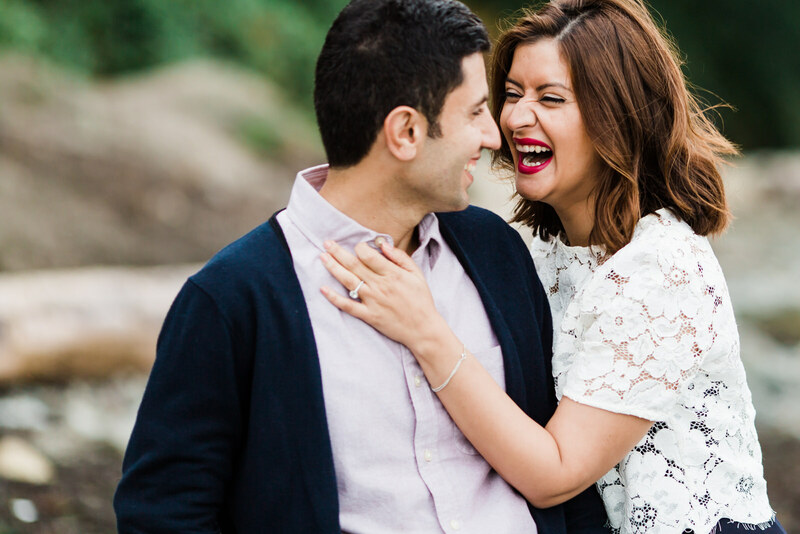 But, it was no surprise, because these two are oozing with class, fun and love. 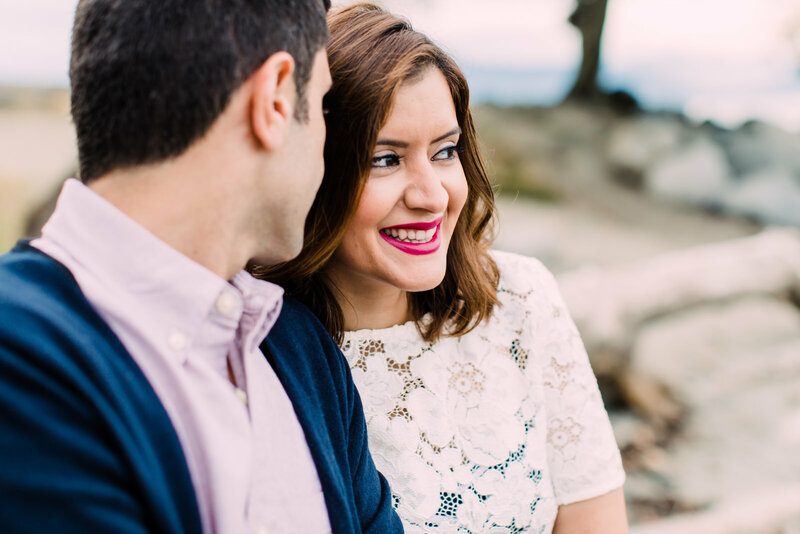 I am so thankful that Rita found me on Google, while so many clients arrive as referrals these two still fall right into my track record of finding fun loving and laid-back couples, who are truly & deeply in love. 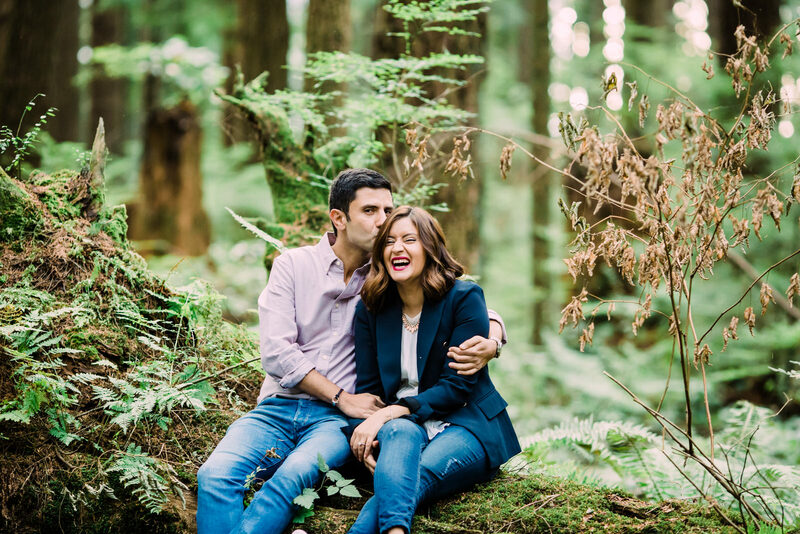 No matter how you arrived here, I’d love it if you reached out to talk about photography on your wedding day.